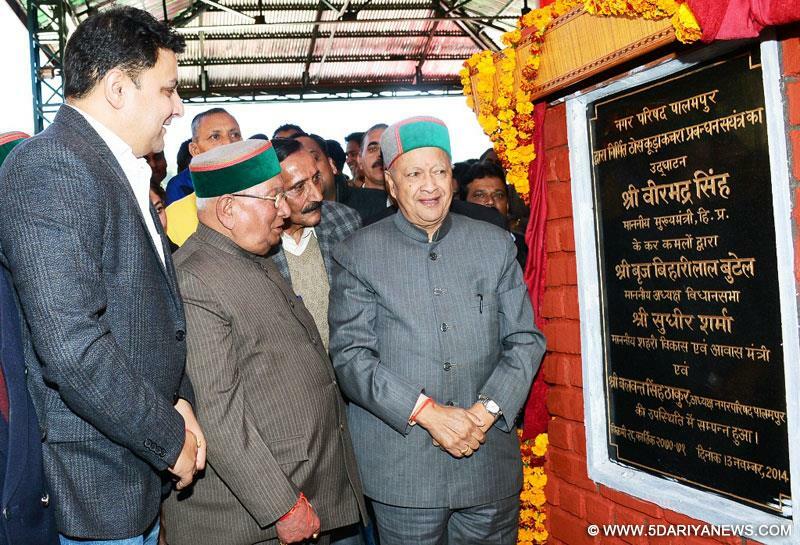 Himachal Pradesh Chief Minister Virbhadra Singh Thursday stressed the need to develop region-specific vegetable varieties for optimum production and low input.Speaking at the convocation of the Chaudhary Sarwan Kumar Himachal Pradesh Agriculture University here, he said the main focus should be on growing vegetable crops that fetch high market price, nationally and internationally. "persification of crops is the top priority of our government. We have been able to increase the area under vegetable crops, including off-season vegetables, to about 68,000 hectares with a production of 13.56 lakh metric tonnes. This has brought economic revolution in rural areas," he said. The chief minister said the growth of vegetable production and horticultural crops of the state was above national average. The fast adoption of new technologies like poly-house farming and organic agriculture has further multiplied production.He said water harvesting was another priority area of the government and should be the focus area of scientists. "Research is vital for the growth of the agriculture sector and efforts should be made to strengthen this area and intensive research should be conducted for developing new varieties of crops suitable to different climatic conditions," said Governor Urmila Singh, who is also the chancellor of the university.She said there was a vast scope for crop persification and off-season vegetables in the state and the university have significantly contributed towards strengthening the socio-economic standards of the farming community.Vice Chancellor K.K. Katoch said that the concepts of 'Earn while you learn' and 'Experimental learning' have been introduced in the course curricula of the undergraduate programmes.